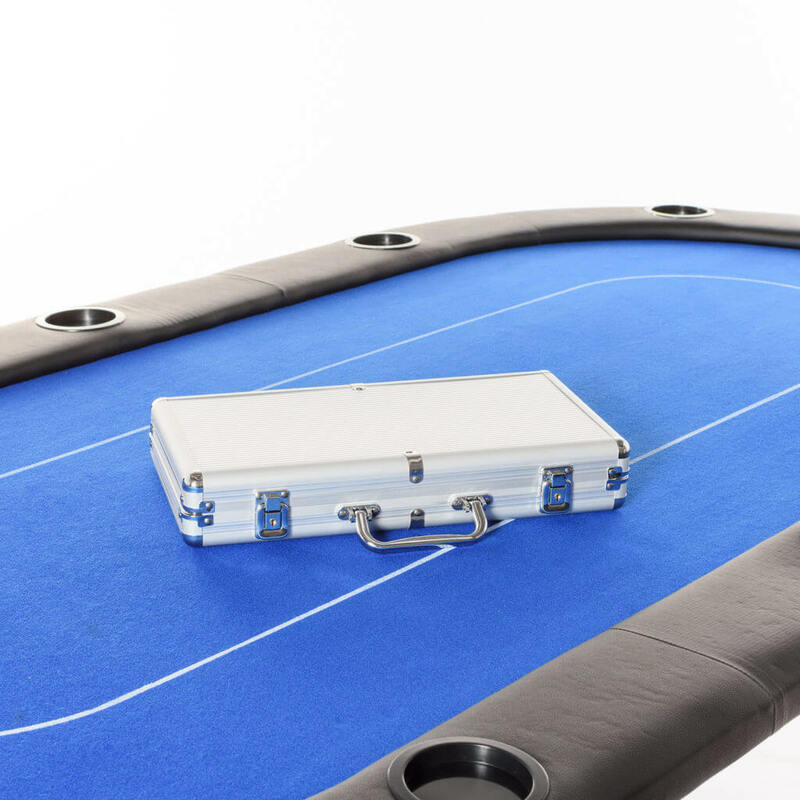 An attractive poker table equipped with a white bet line. 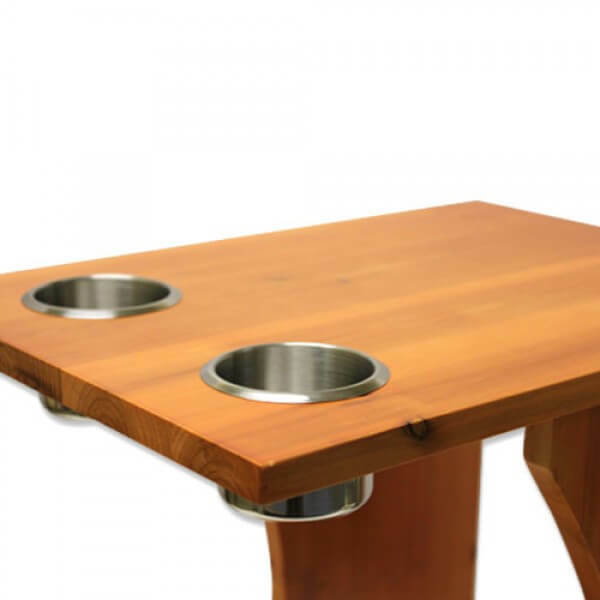 To ensure maximum comfort, the table comes with cup holders and leather armrests. 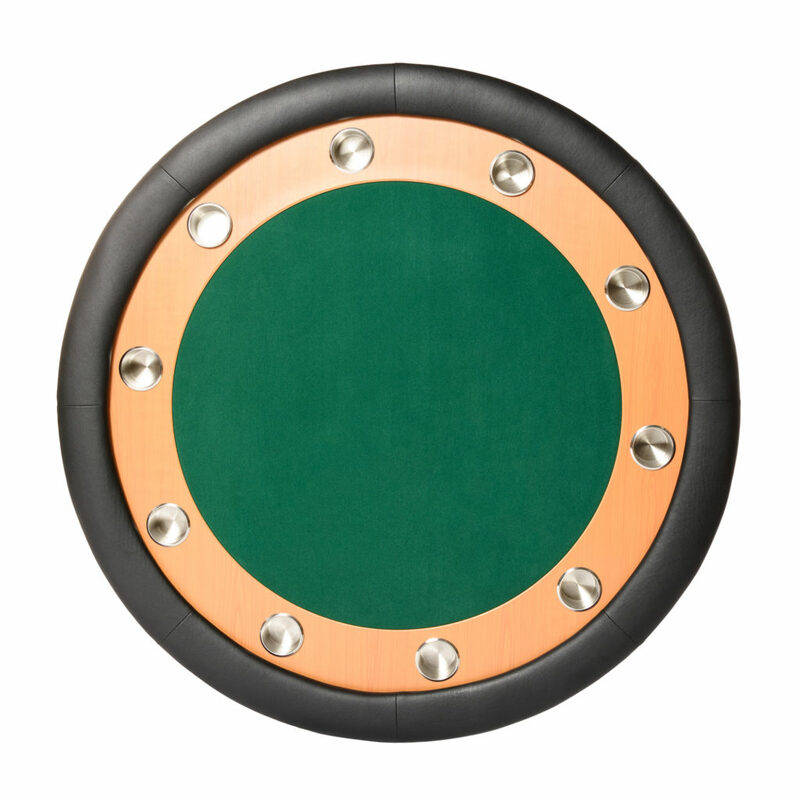 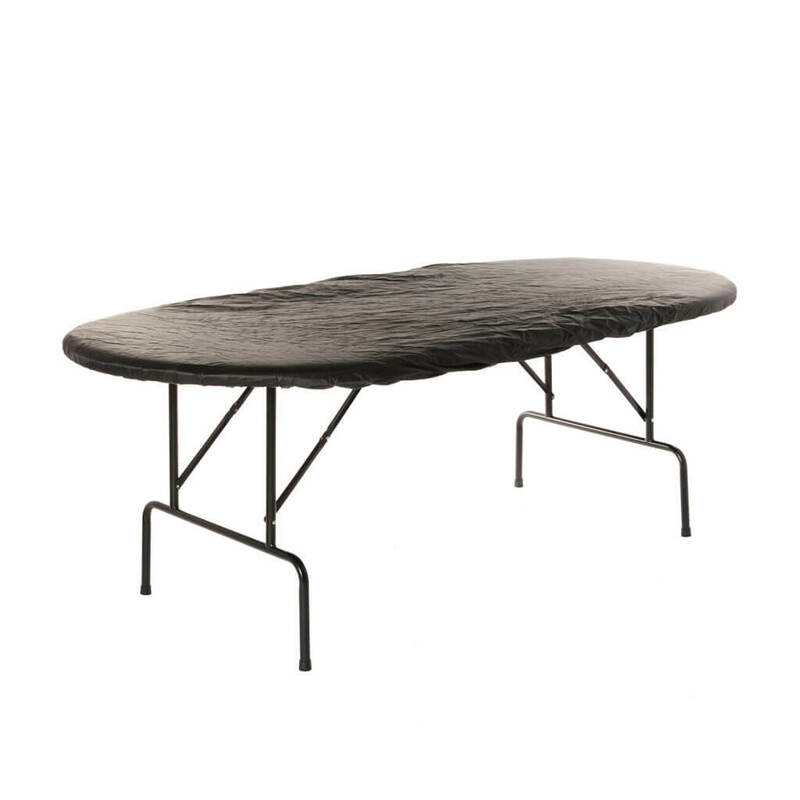 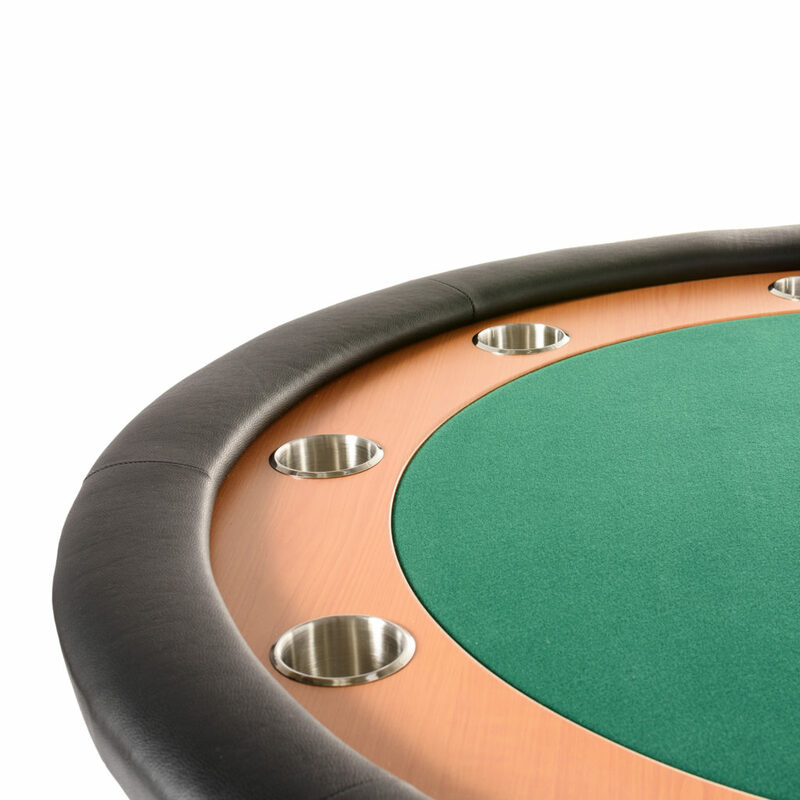 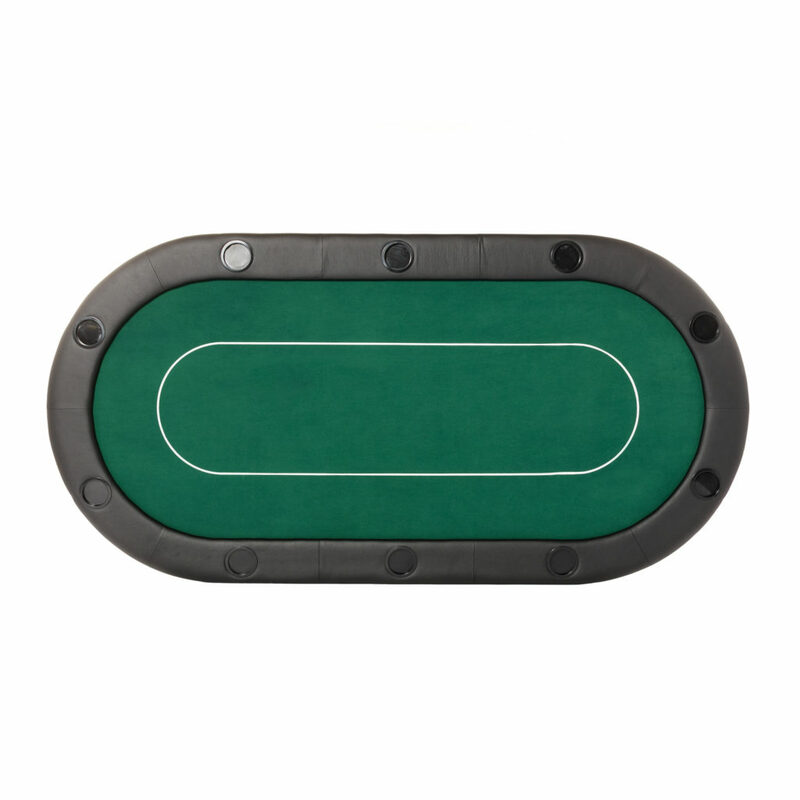 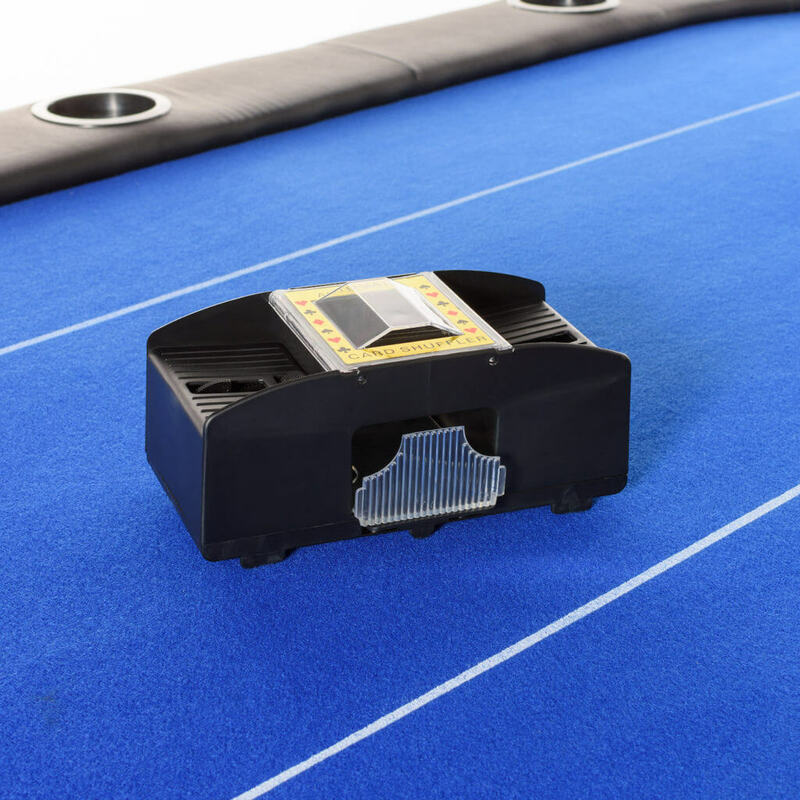 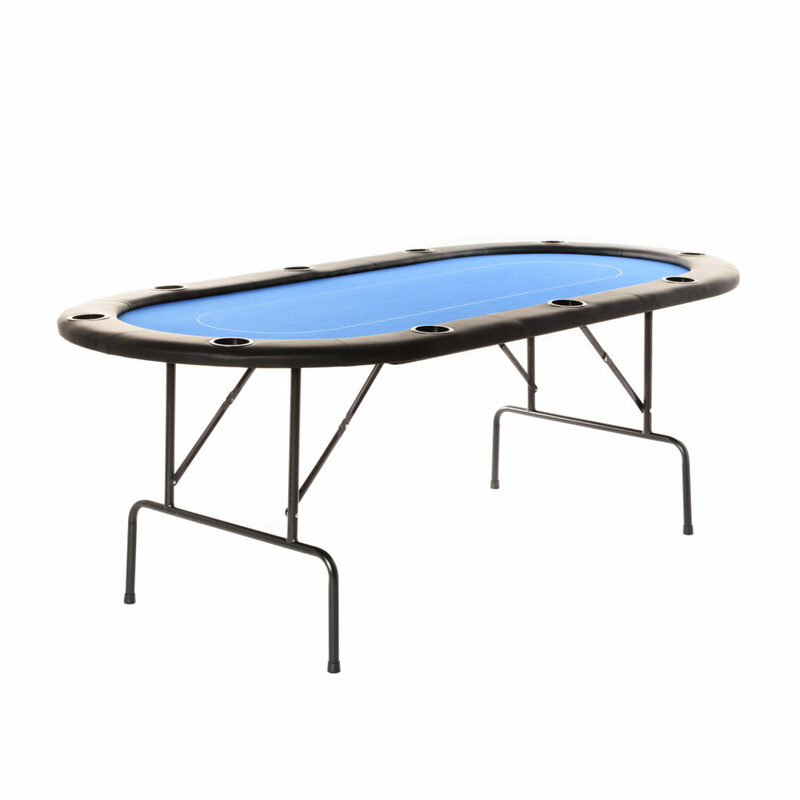 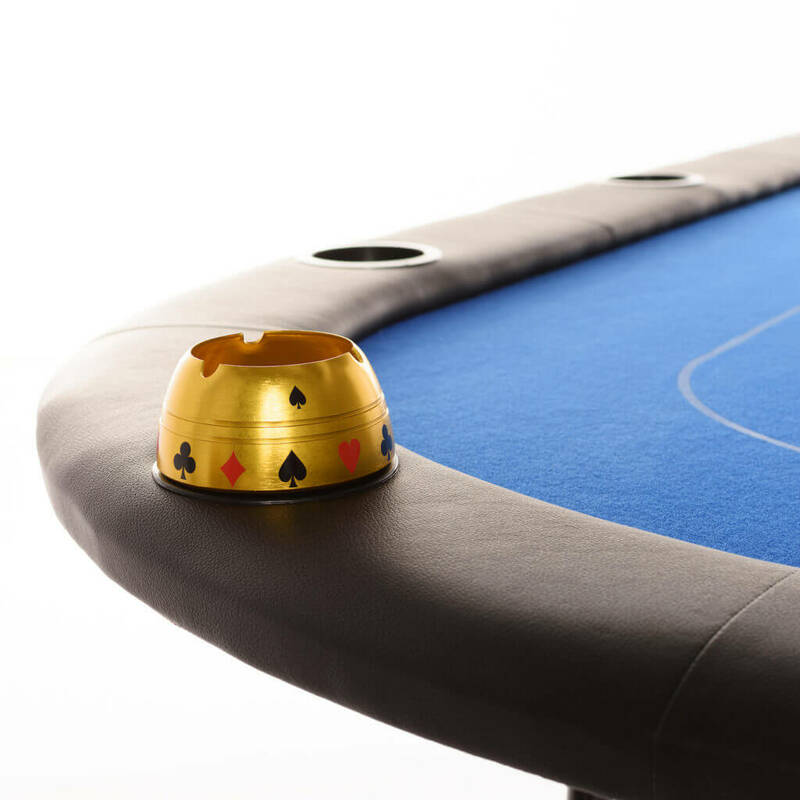 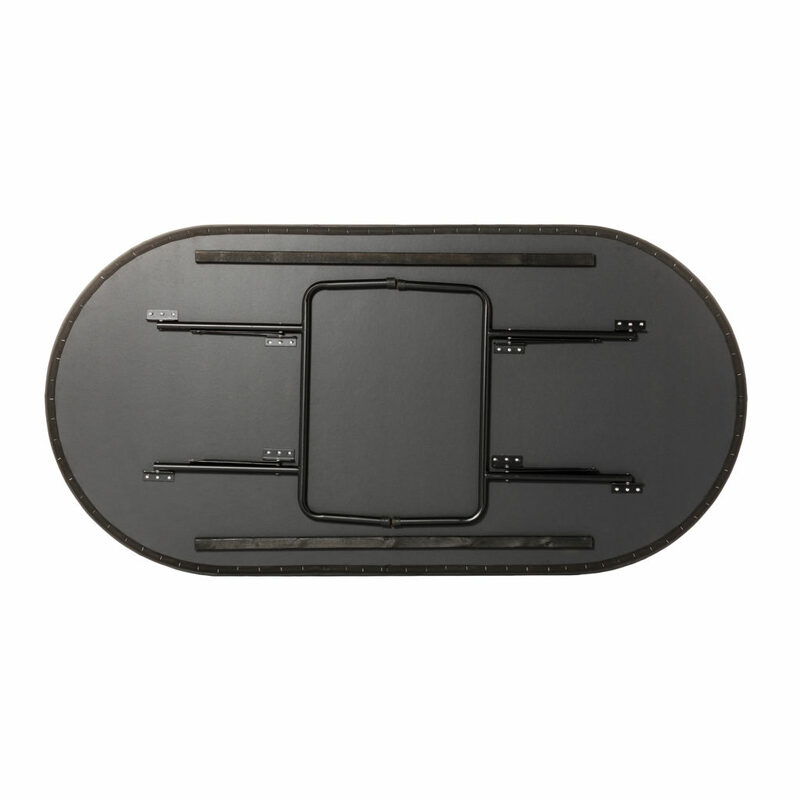 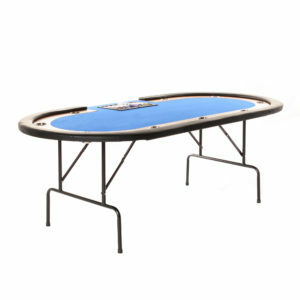 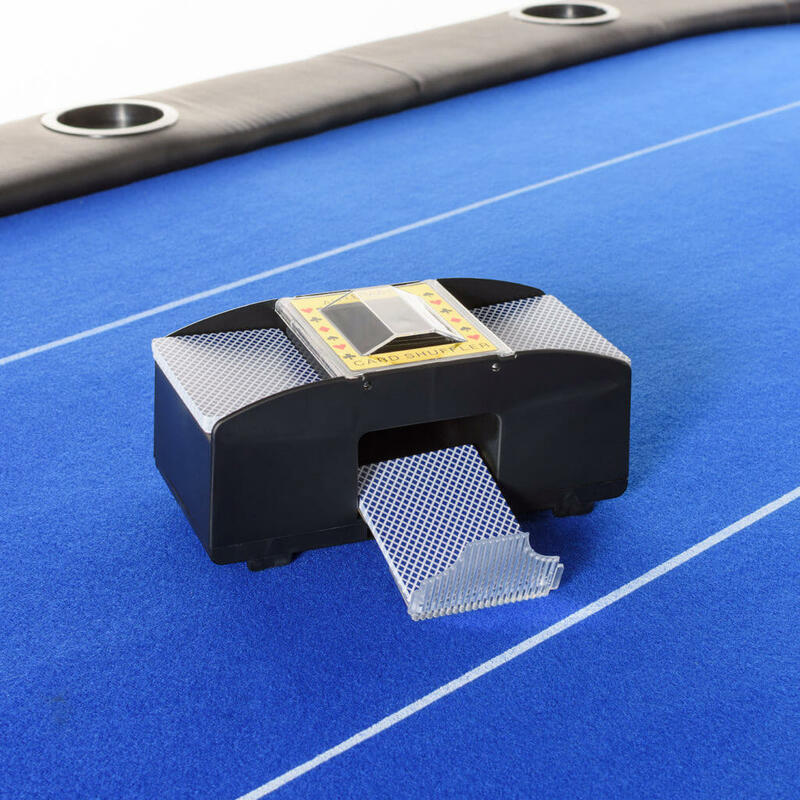 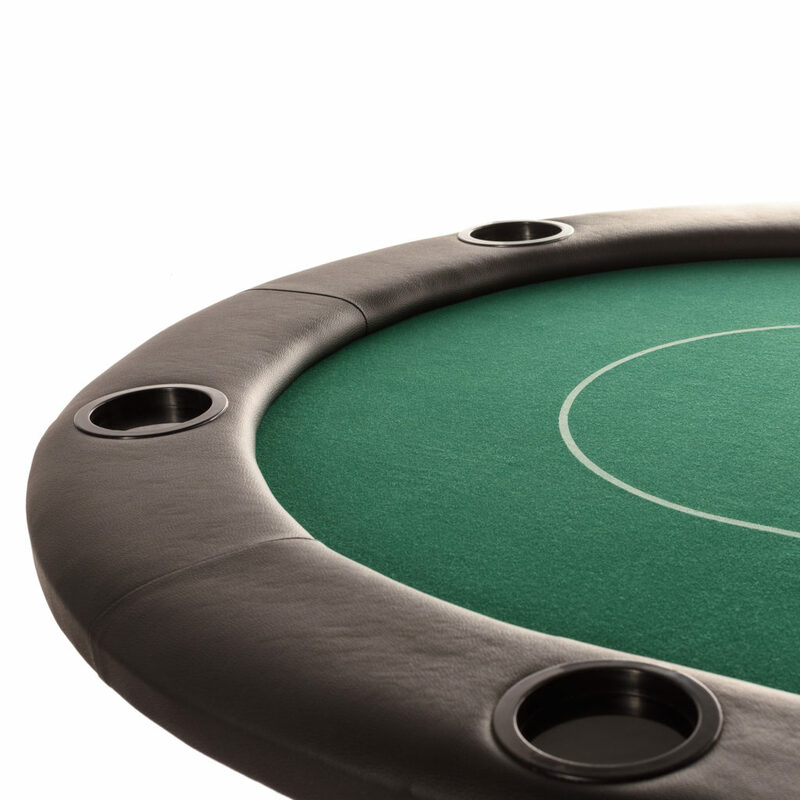 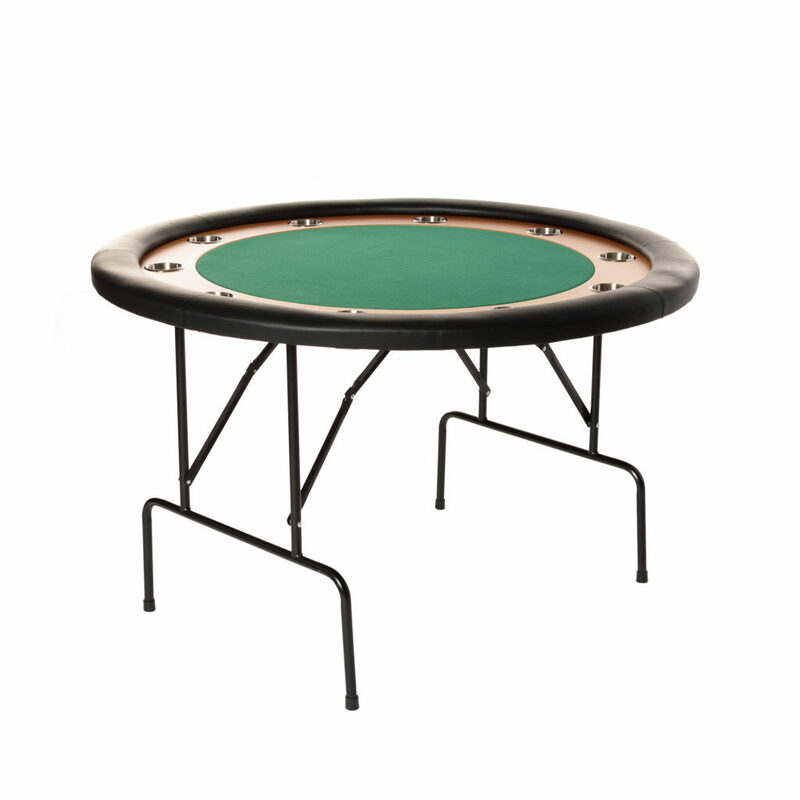 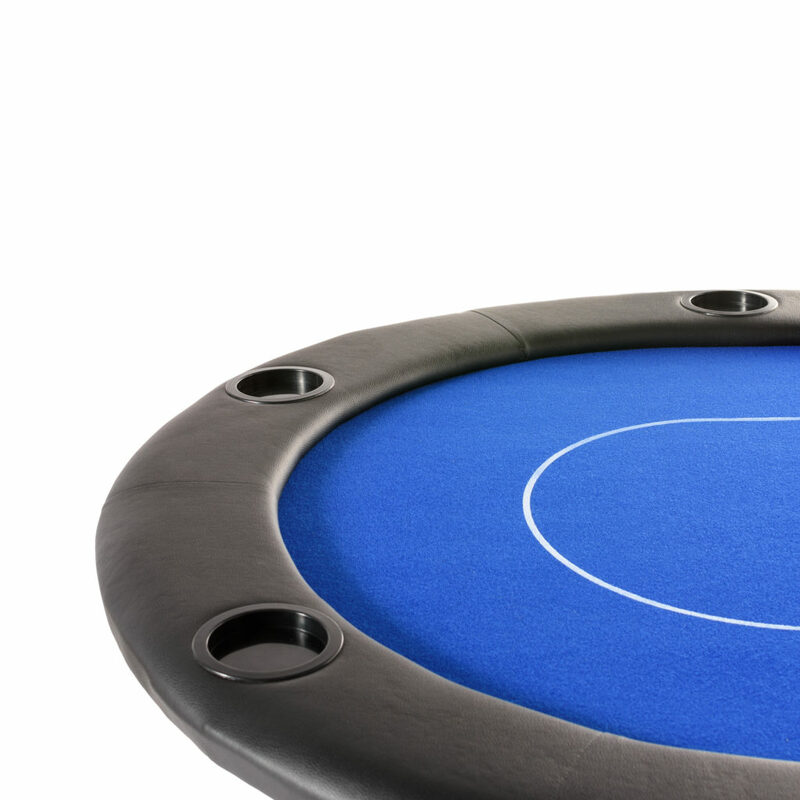 If you find an oval poker table too ordinary or too large, this is an ideal alternative. 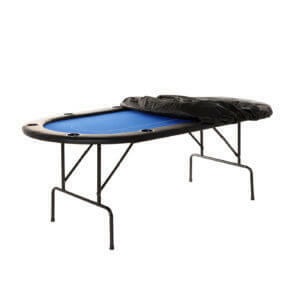 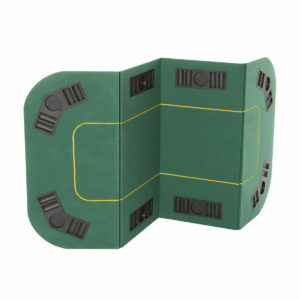 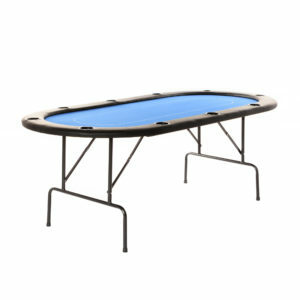 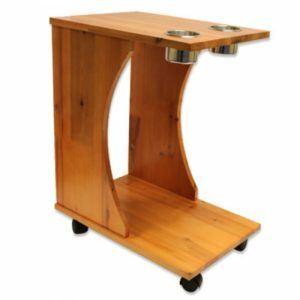 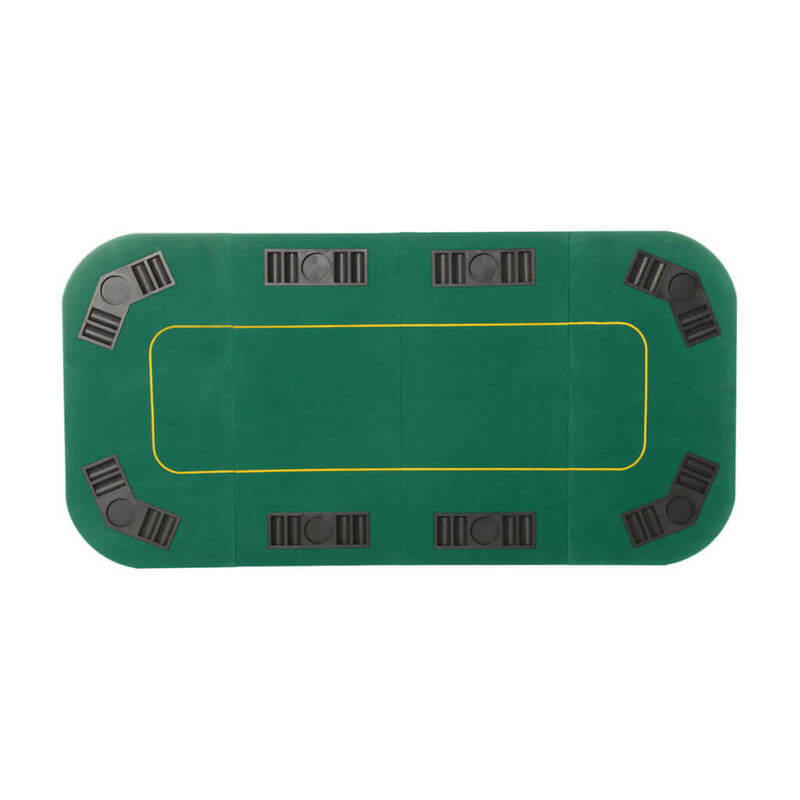 Choose this affordable solution if you do not have space in your home for a poker table with feet. 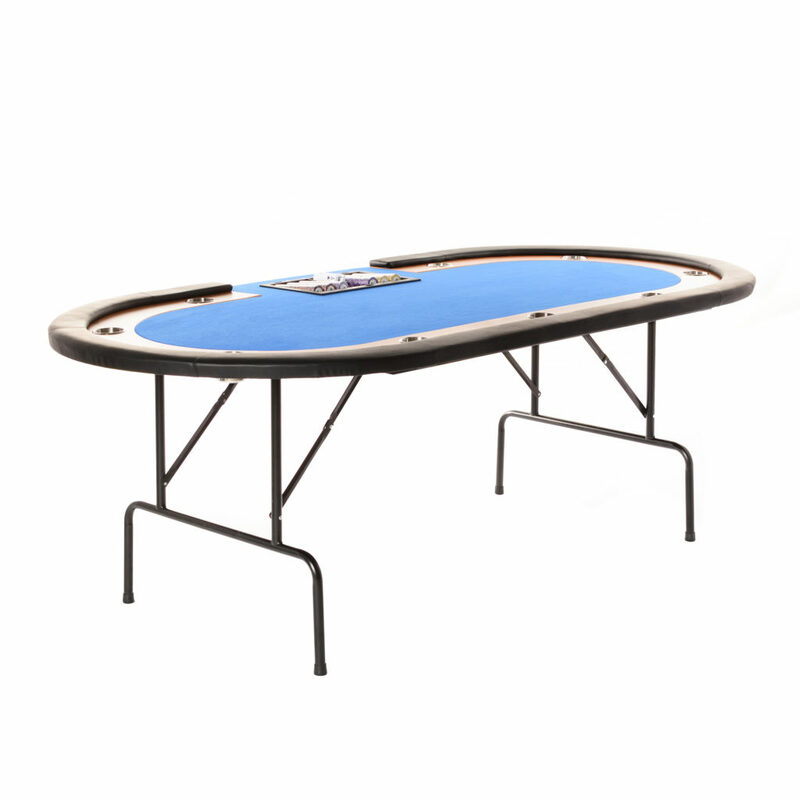 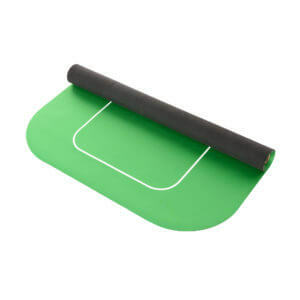 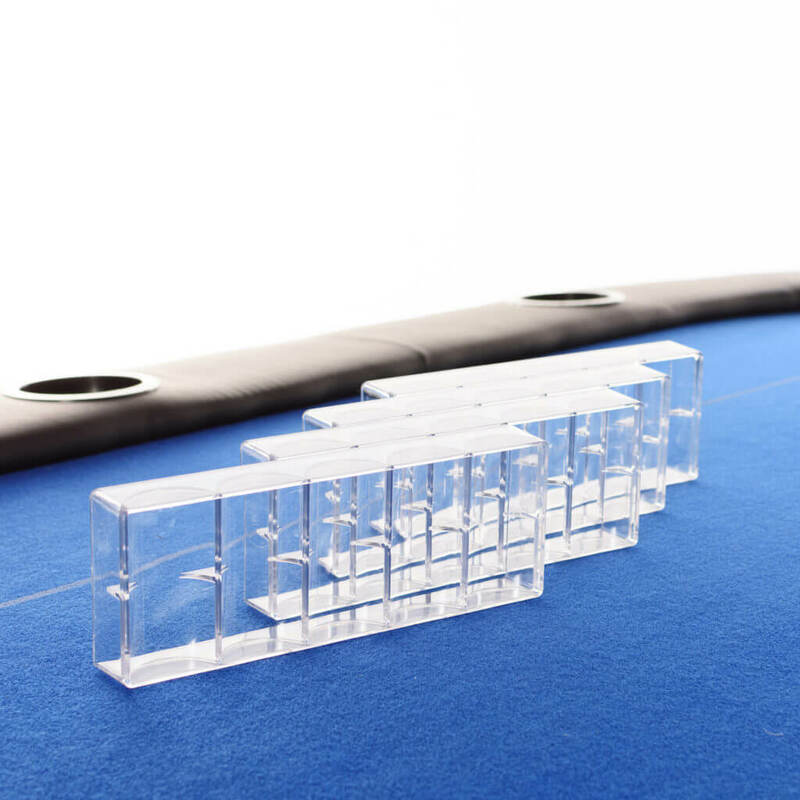 Turn your dining table into a poker table in just a few seconds and at an affordable price! 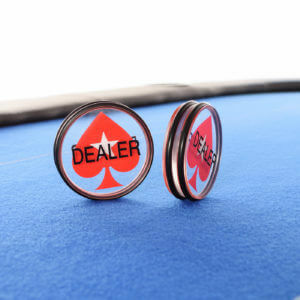 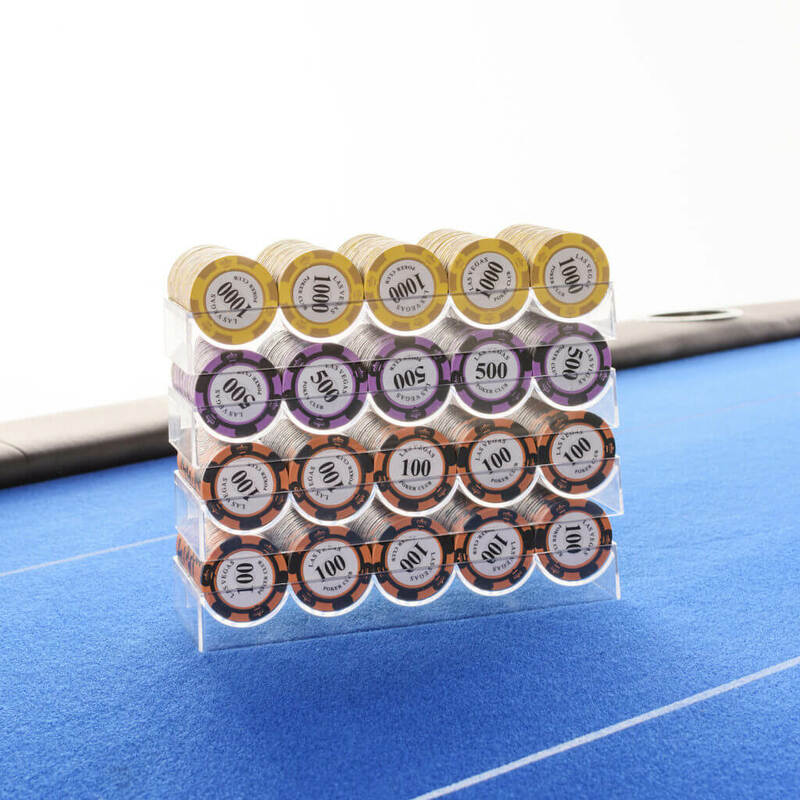 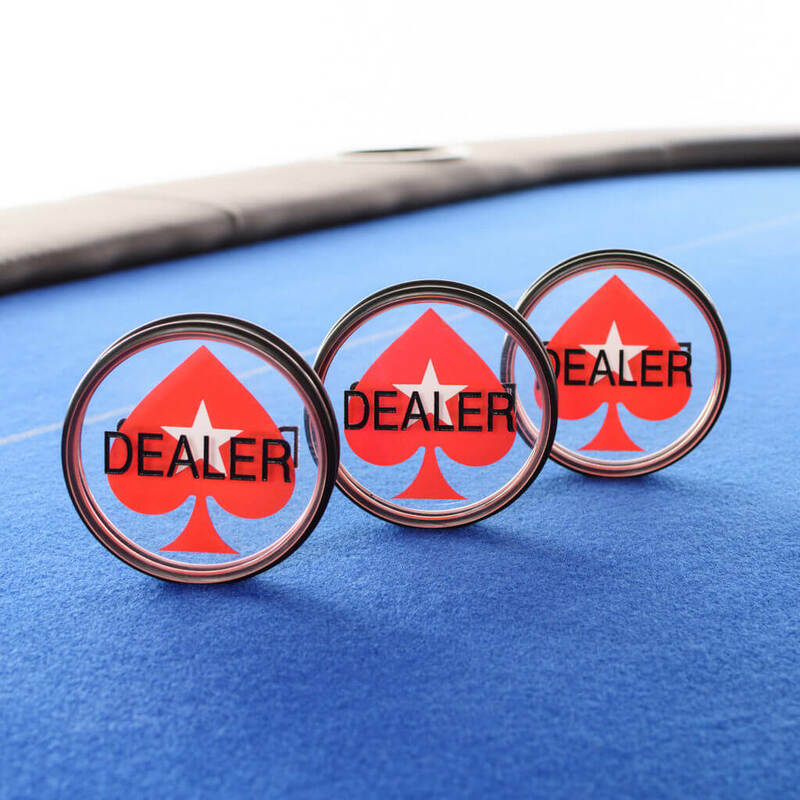 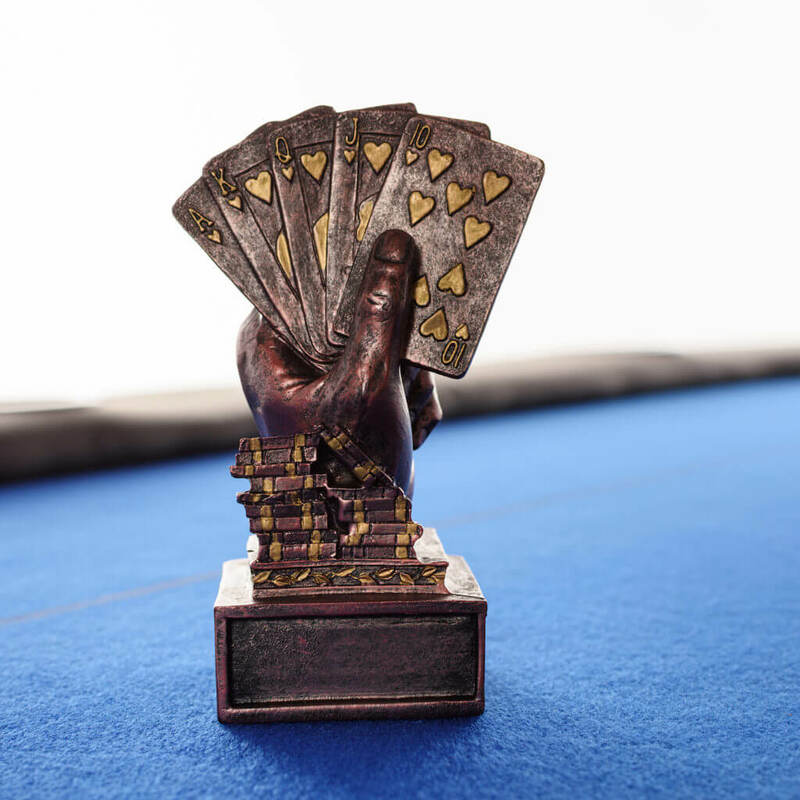 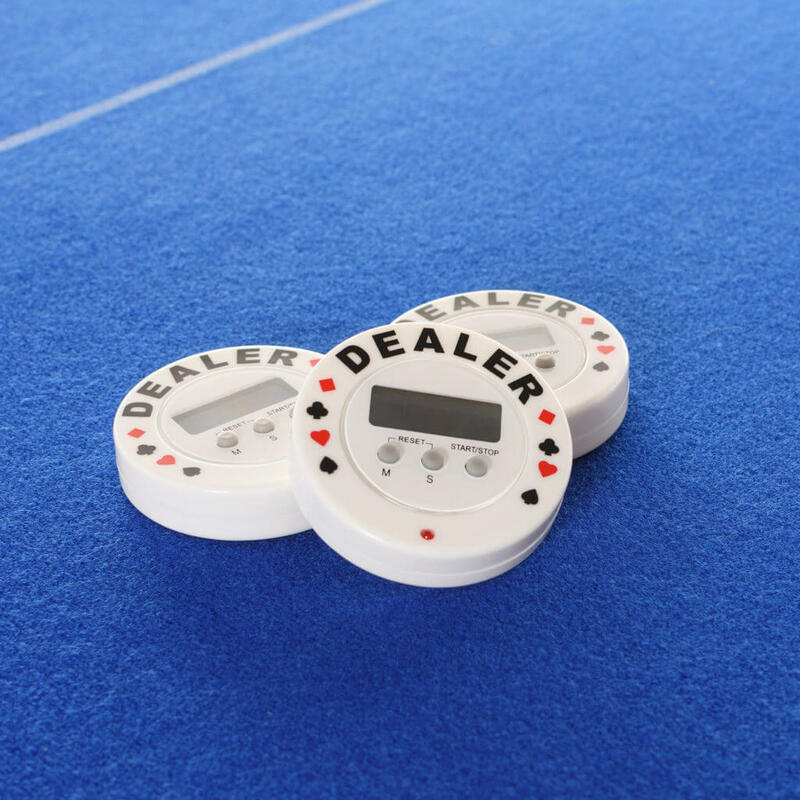 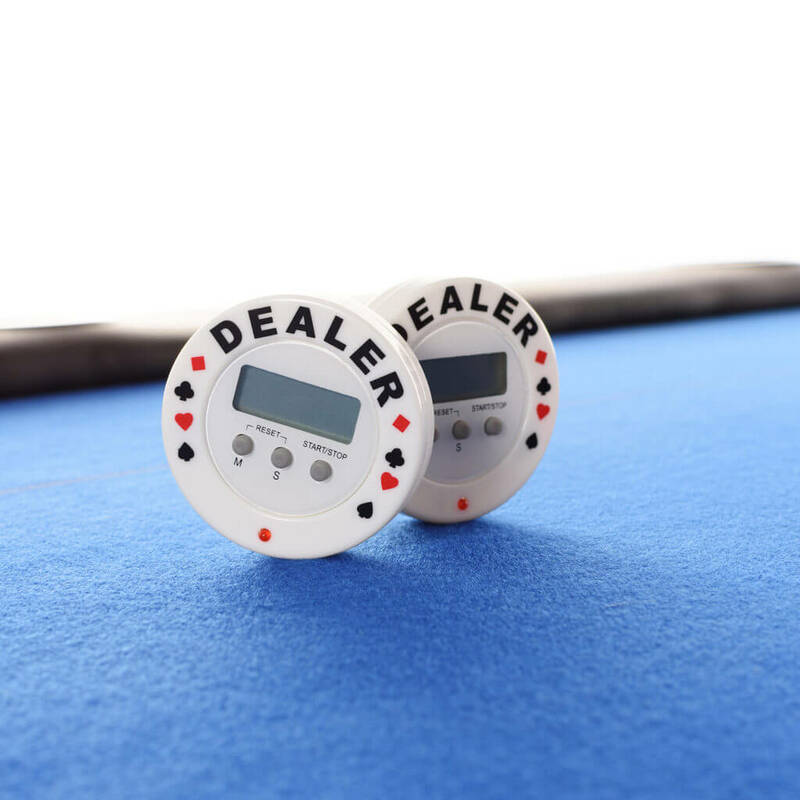 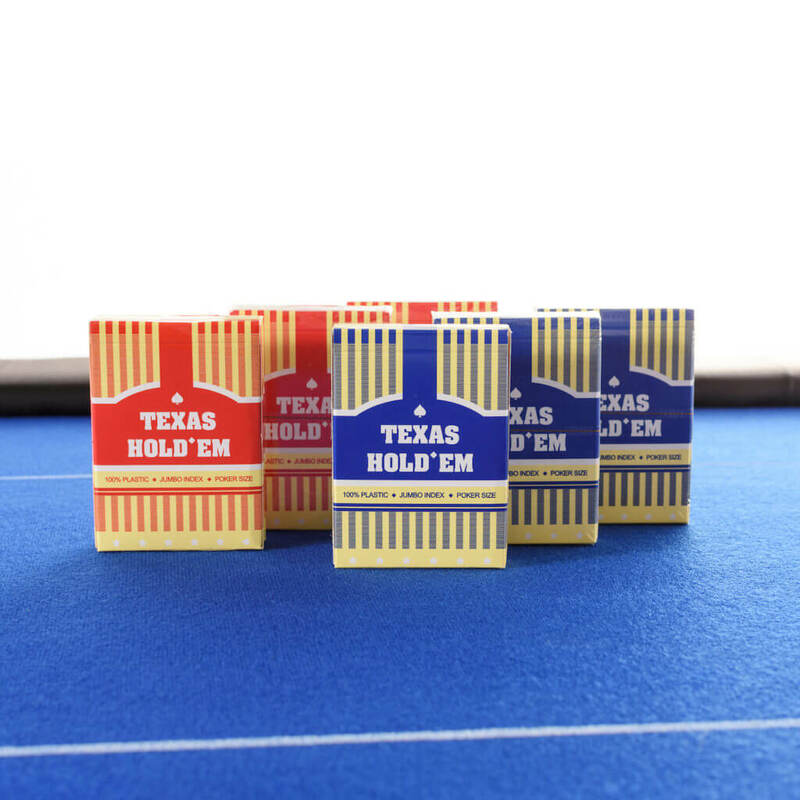 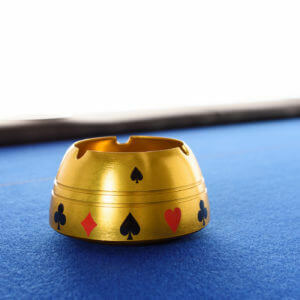 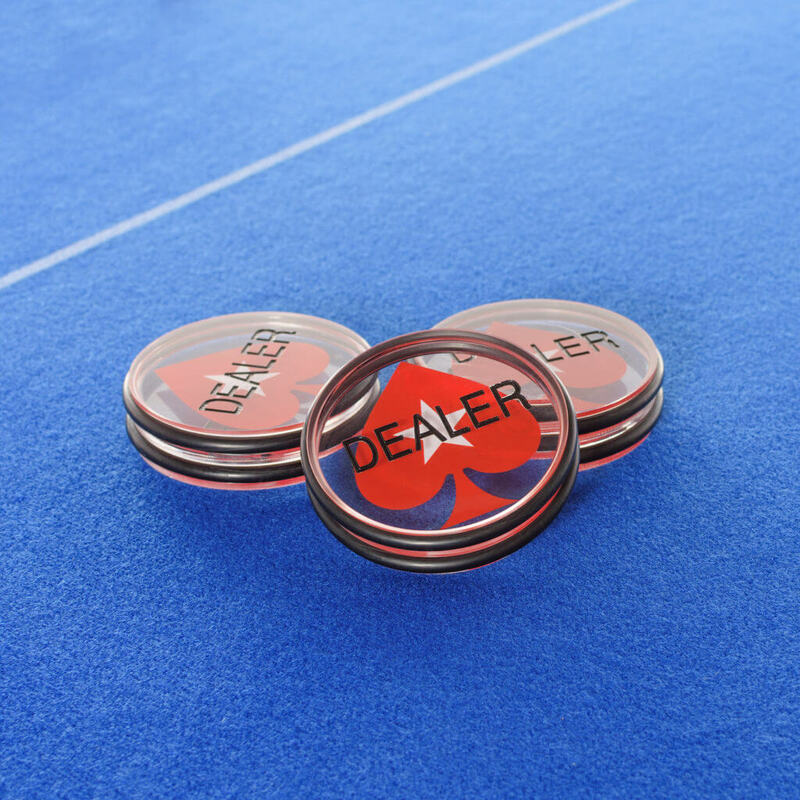 The chips are of higher values and are ideal for poker tournaments. 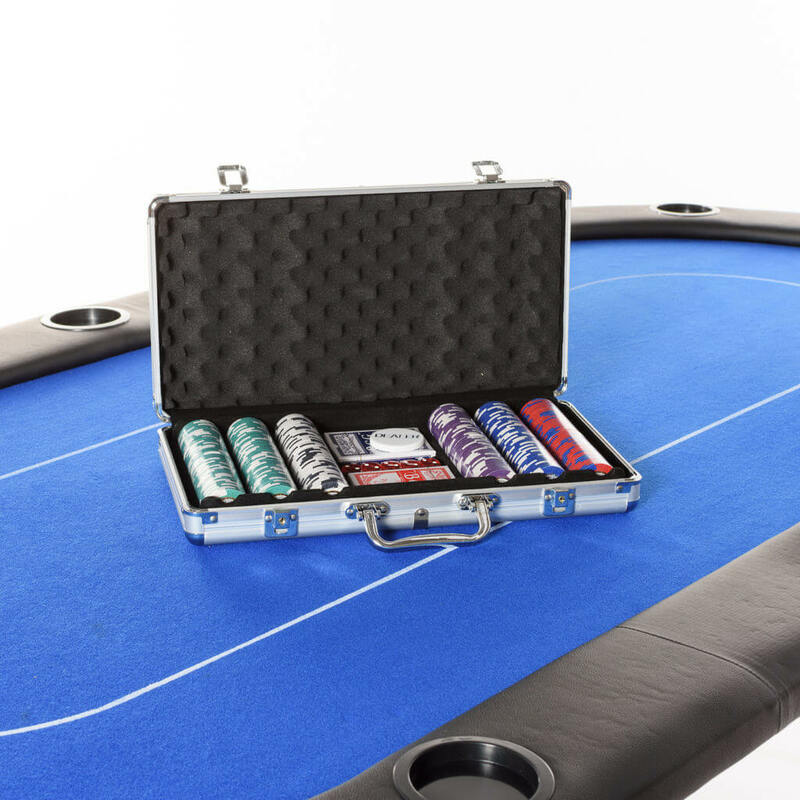 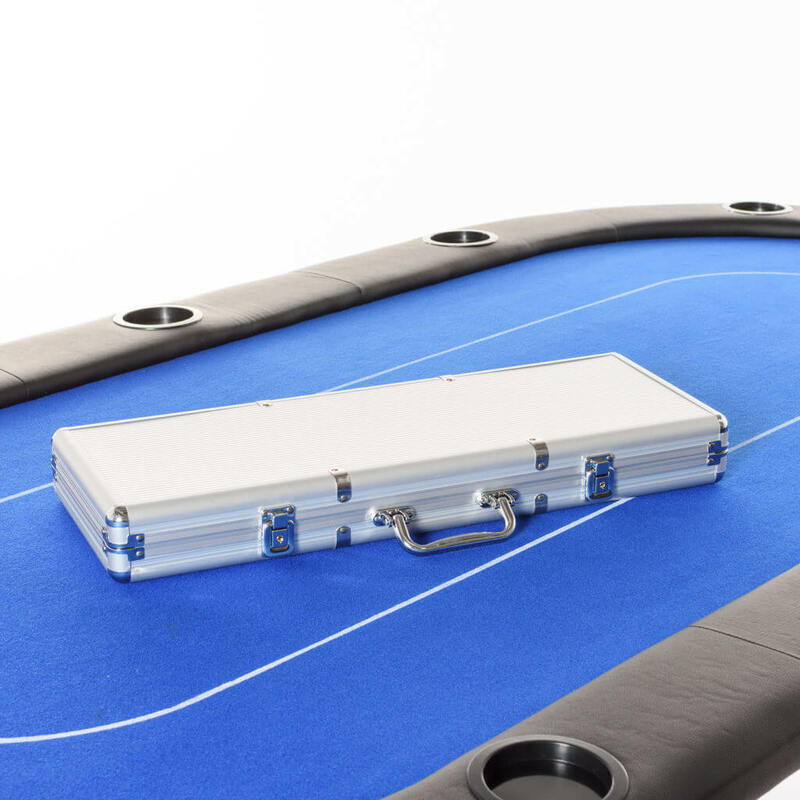 This elegant poker case contains everything that could be needed for a game of poker! 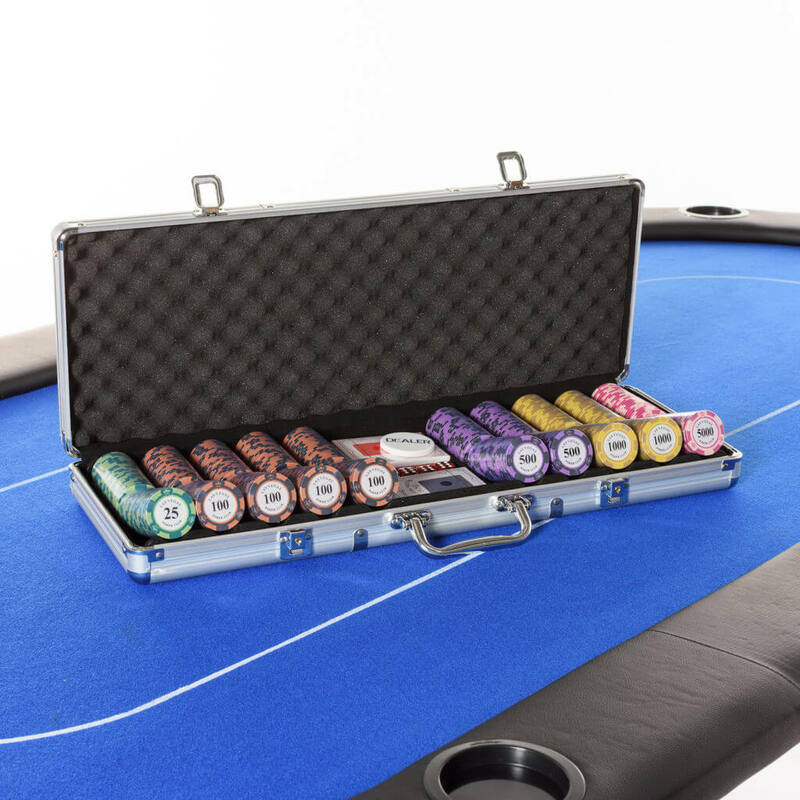 The numeric values of the chips are lower which makes it ideal for playing for cash at home. 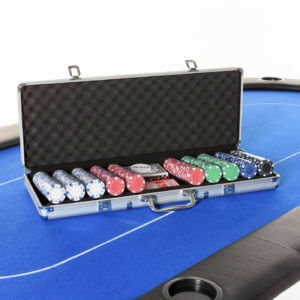 An efficient assistant for players with little experience, along with professionals and dealers for domestic poker nights. 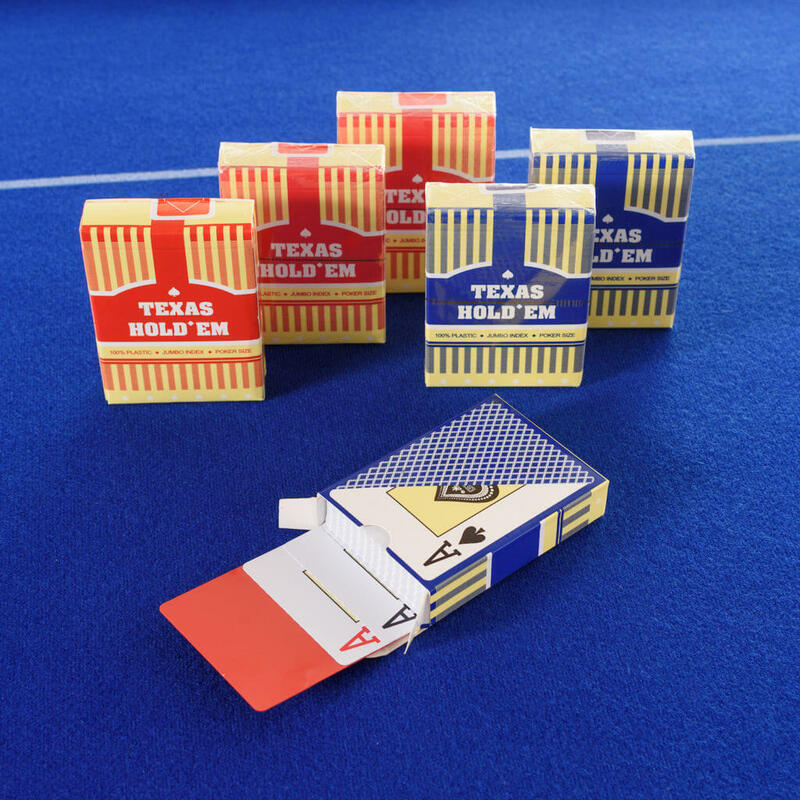 The ‘Jumbo print’ cards which are popular in casinos remain perfectly readable even after several hours of playing. 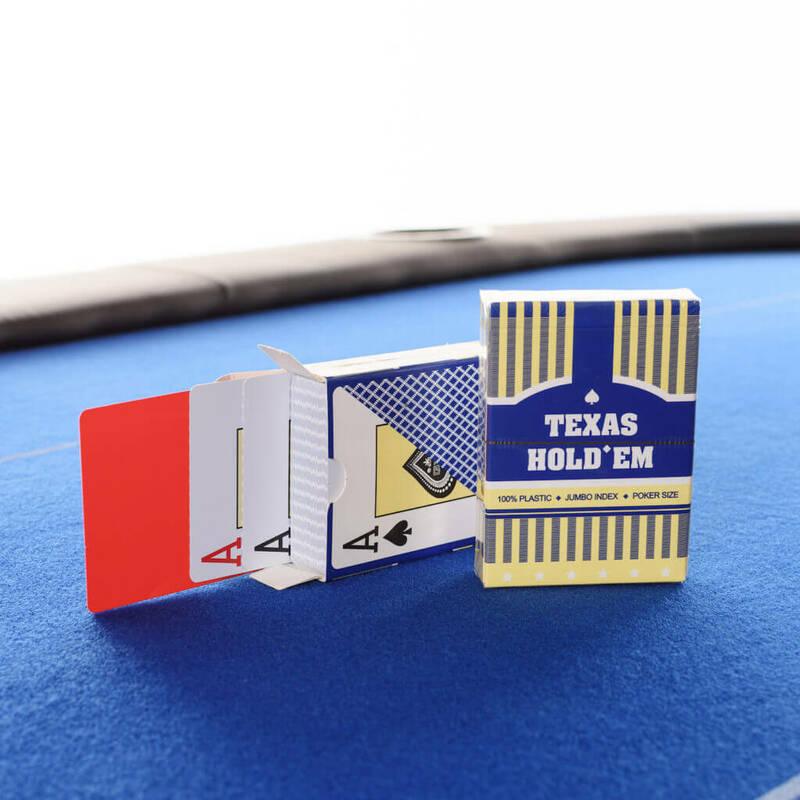 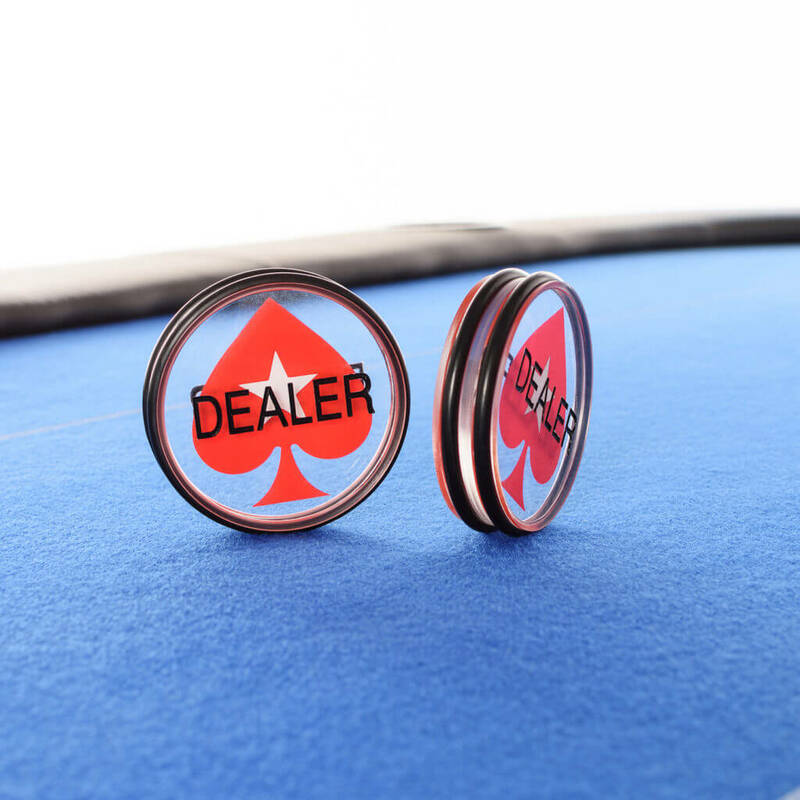 Add beauty to your game of poker with the EPT-inspired high-quality buck! 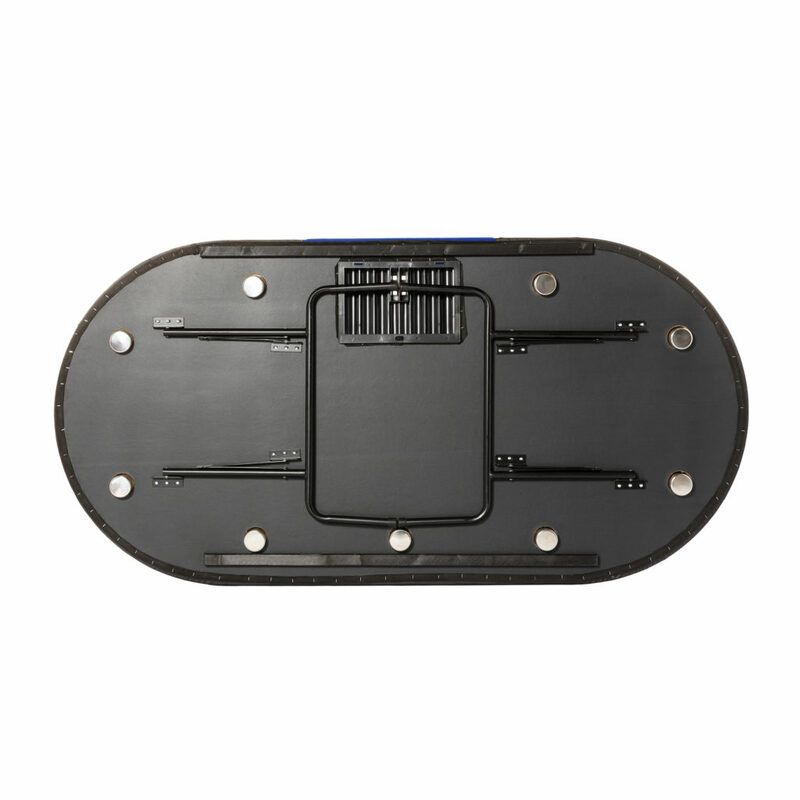 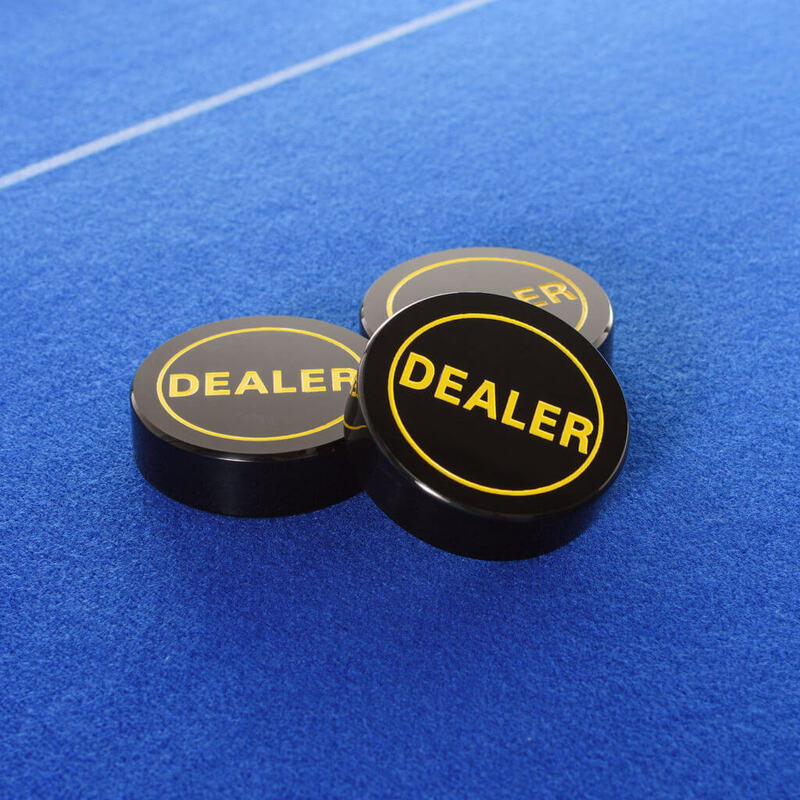 The black crystal hockey puck-shaped buck is of life-long quality and durability. 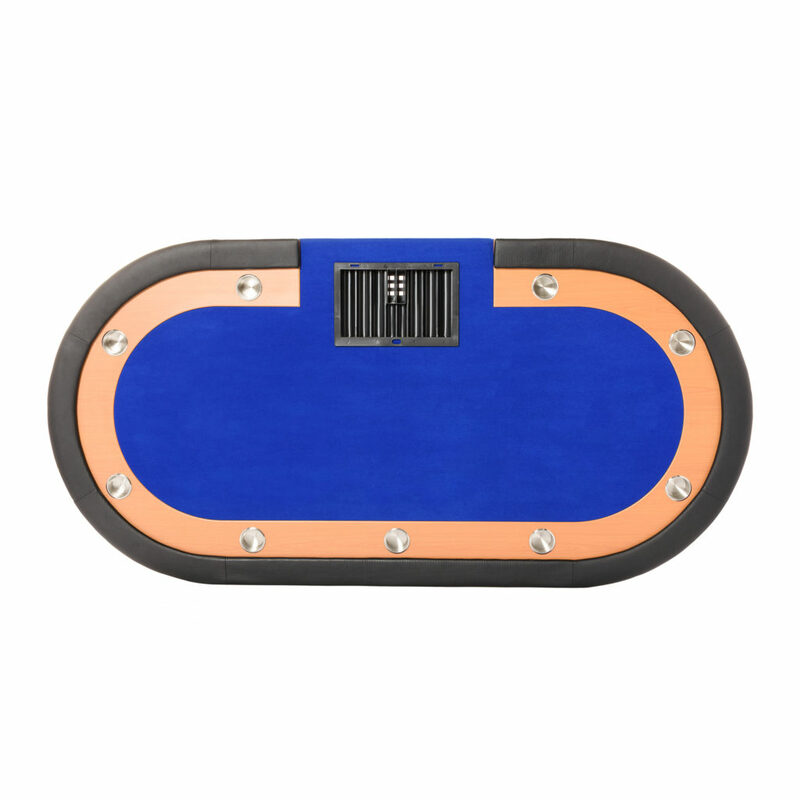 Use one of the two colour schemes based on your preference. 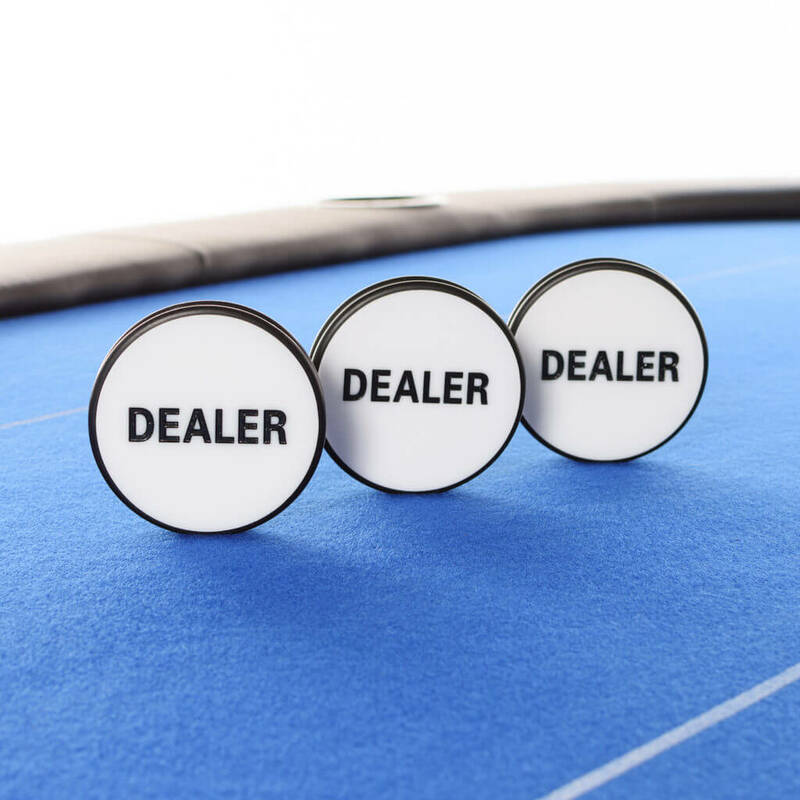 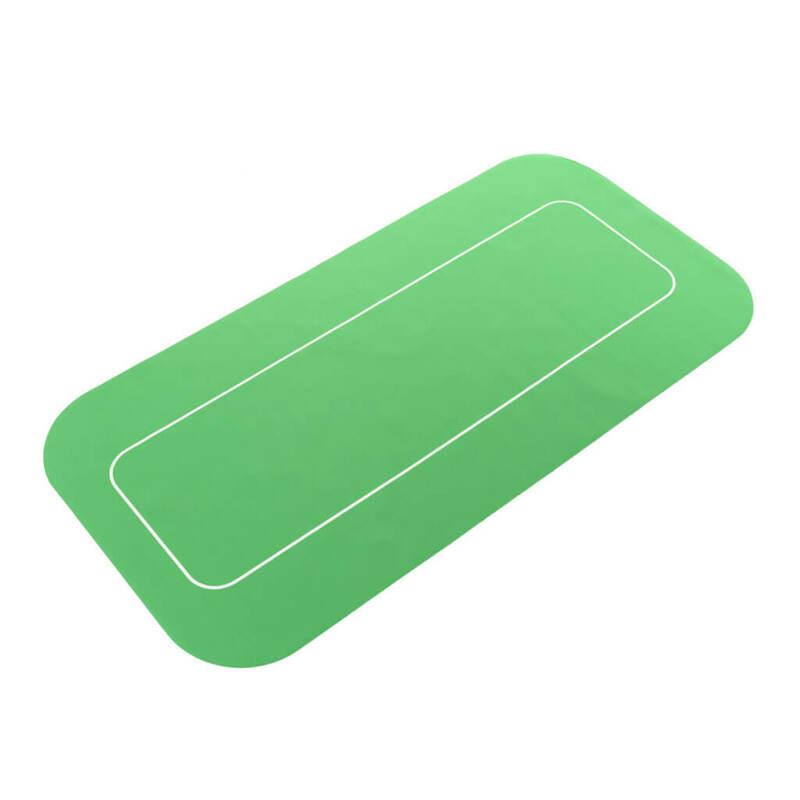 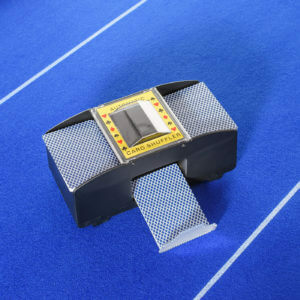 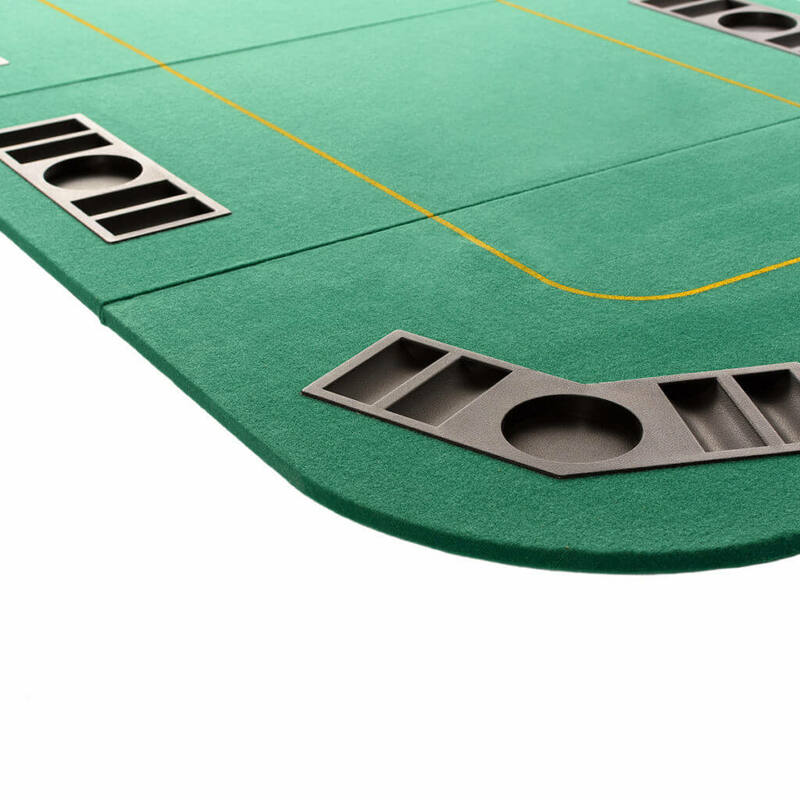 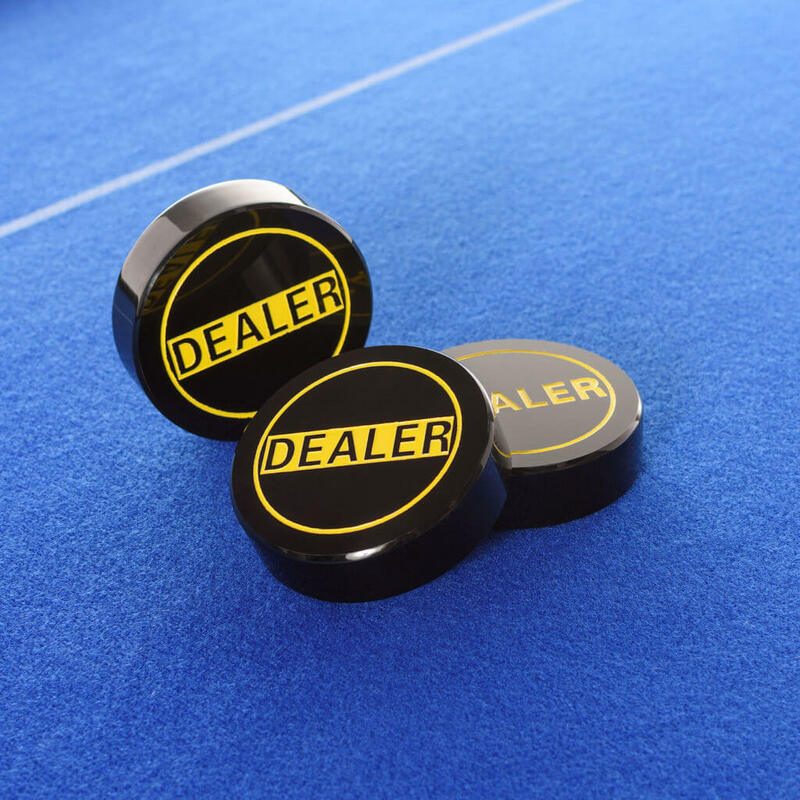 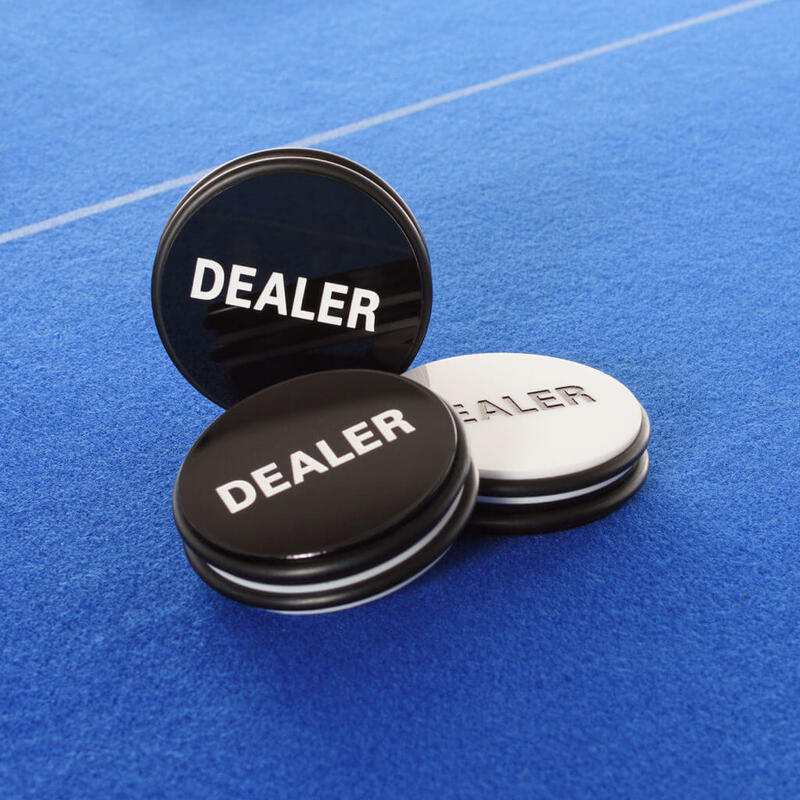 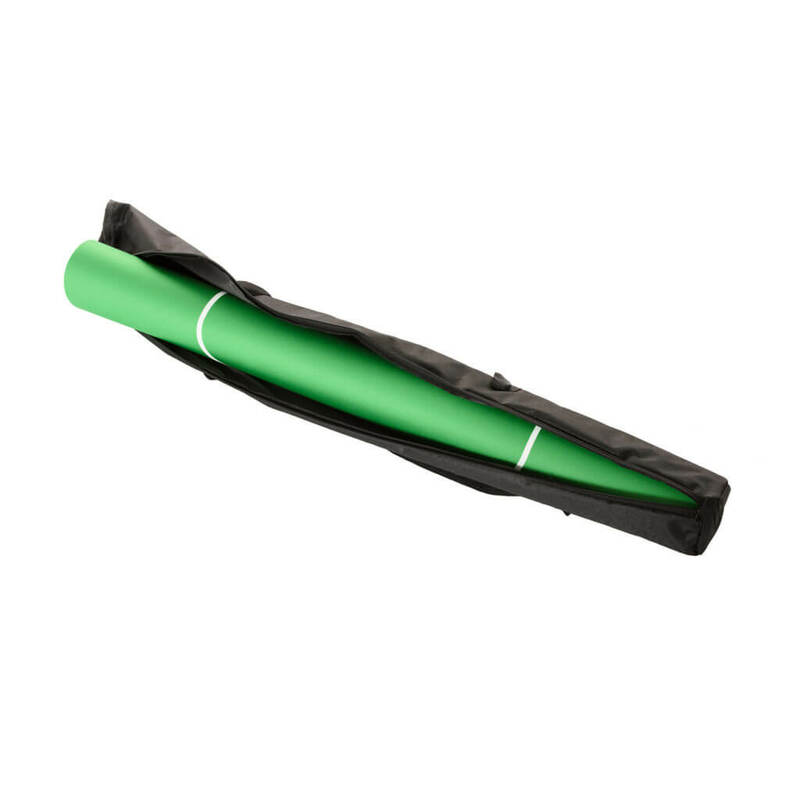 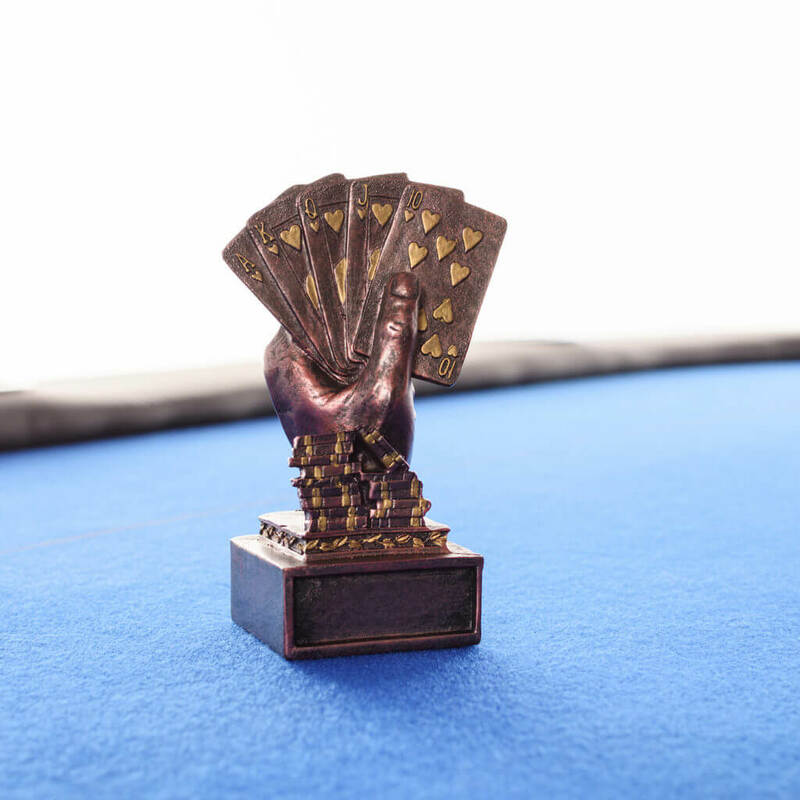 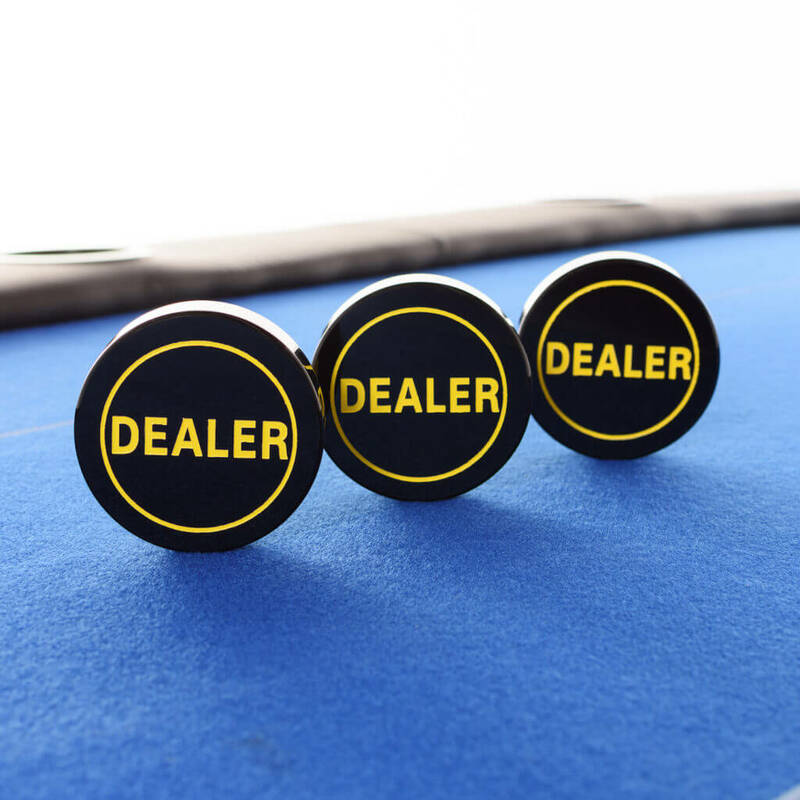 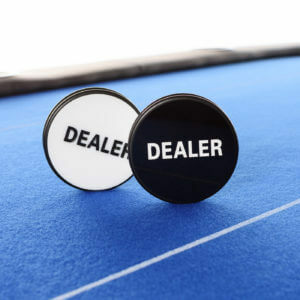 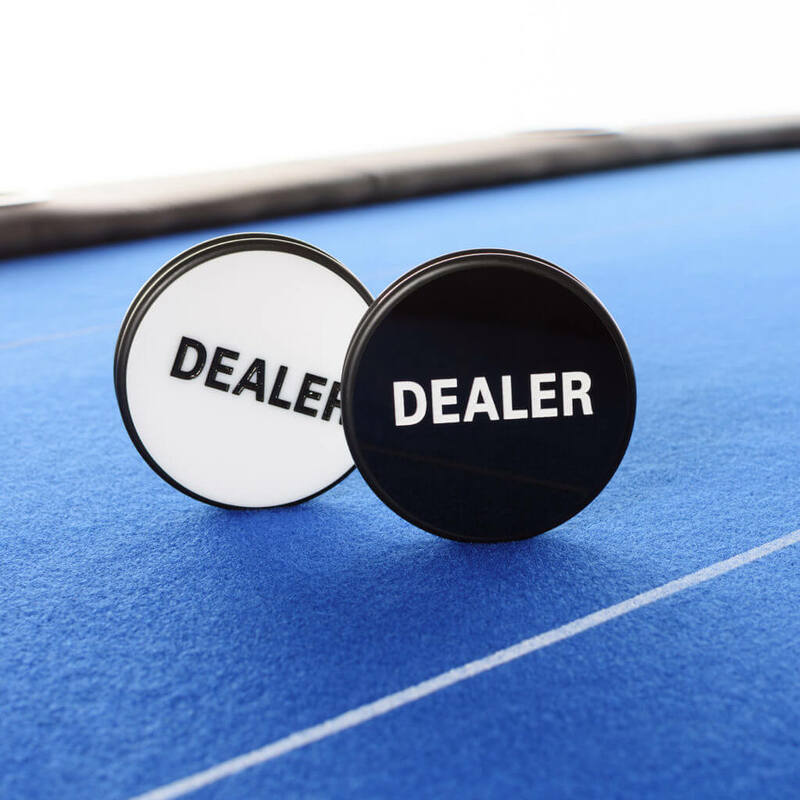 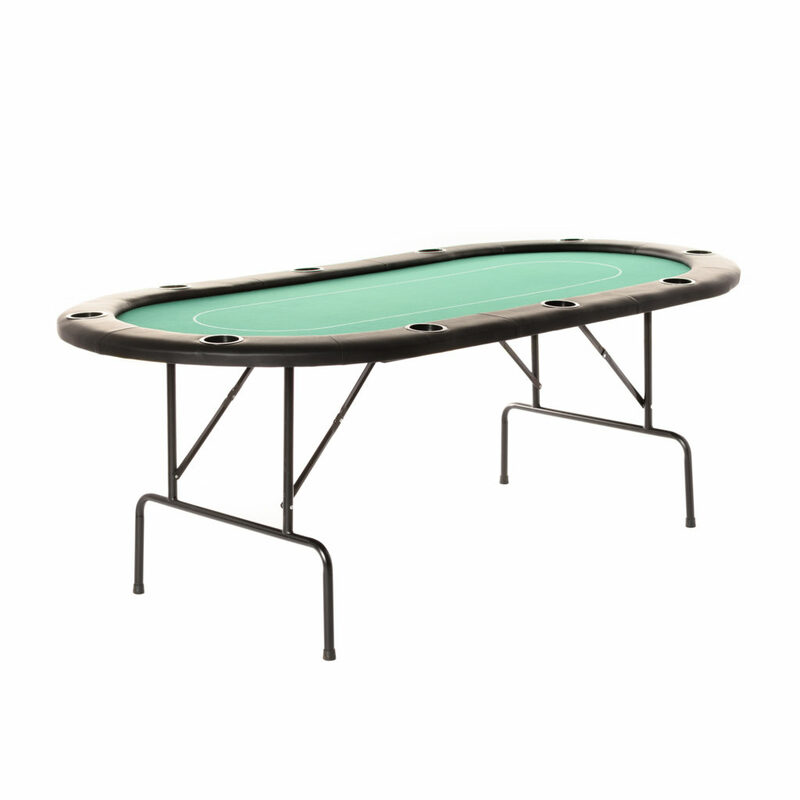 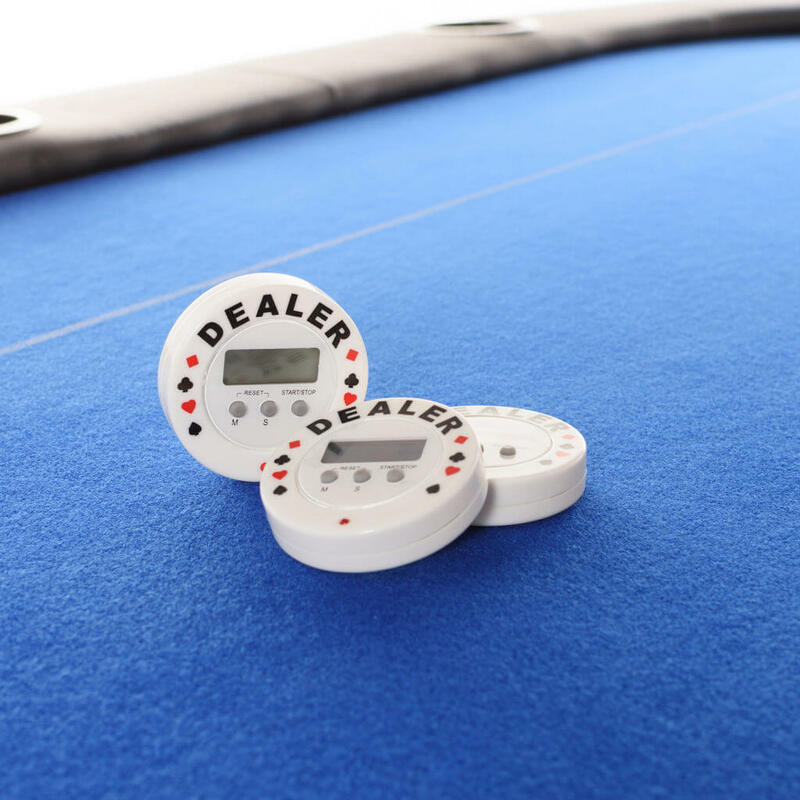 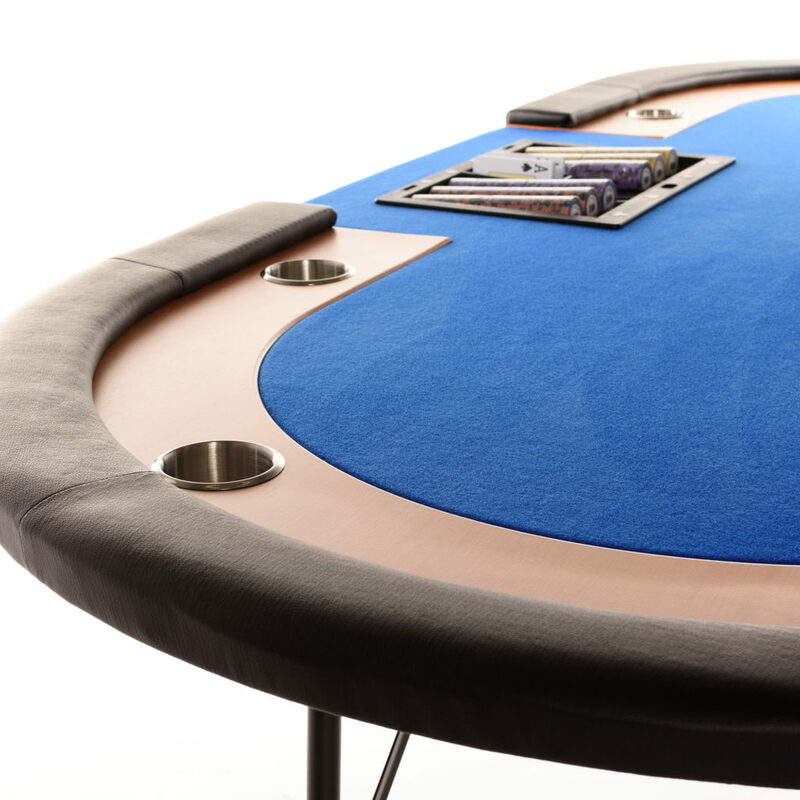 Keep your poker table clean and protect it from rain, dust, and other soiling factors. 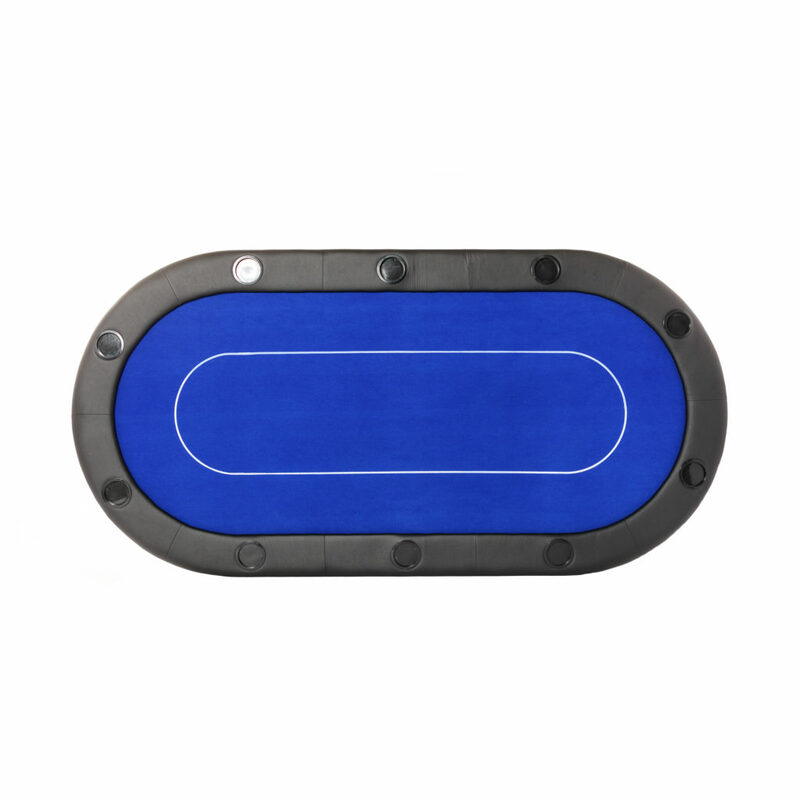 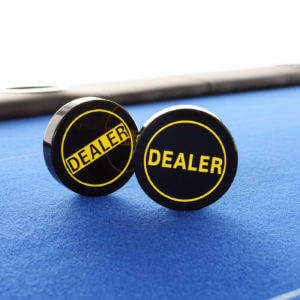 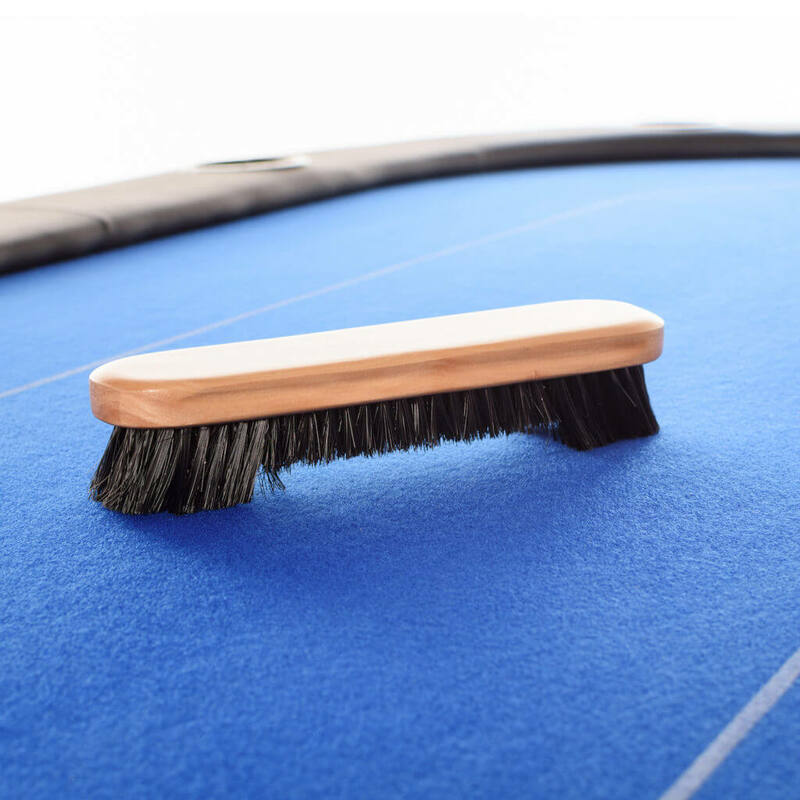 An ideal helper for keeping your poker table clean. Award the best players with a memorable, themed trophy! 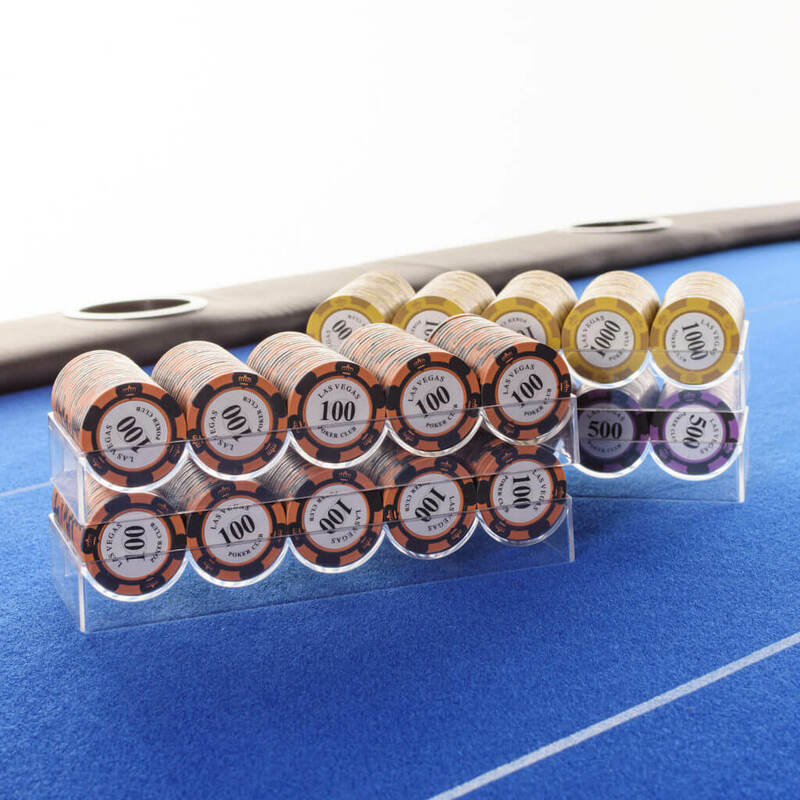 The 2-in-1 buck makes holding tournaments easy. 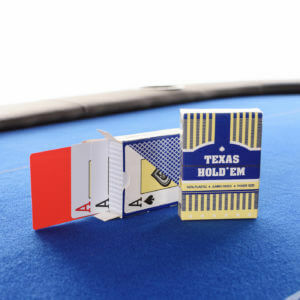 This makes a nifty surprise for the smokers in the group! 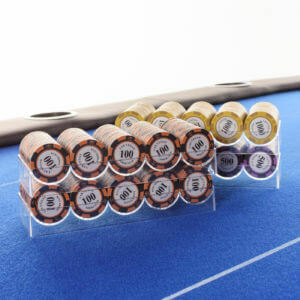 The chip stacker will help you conveniently organise, protect, and transport your chips. 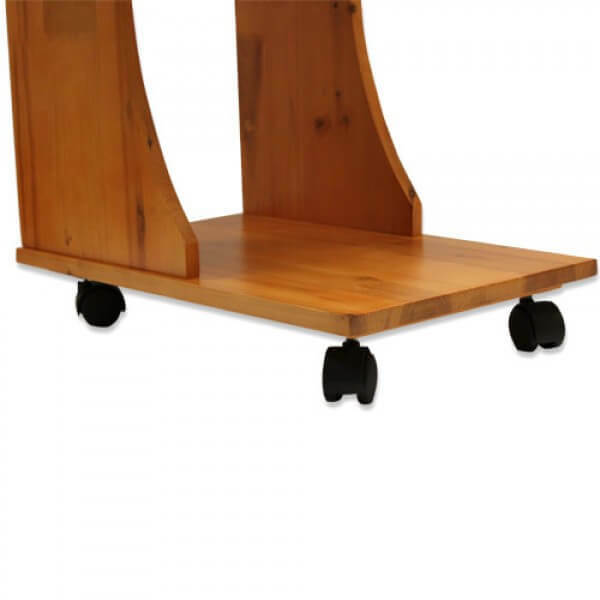 We deliver to Estonia, Finland, and Latvia with delivery times of up to seven days.